Welcome to the Ausable Bayfield Watershed Report Card. Ontario's conservation authorities have developed watershed report cards that are prepared every five years. These report cards use consistent standards across Ontario to report environmental information to you. Ausable Bayfield Conservation has prepared this report card as a summary of the state of your forests, wetlands, and water resources. Click on your local watershed and see the latest reporting for your area. Each Watershed Report Card reports on five years of environmental monitoring data. 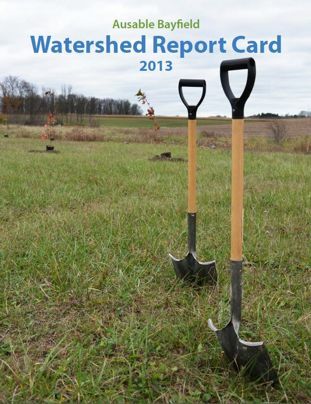 The current Watershed Report Card, the second one produced for your watersheds, was published in 2013. For a summary of the information, please see the eight-page brochure. For more detailed information use the interactive map or the links provided below. Click on the text links below or on the map to find the report card for your local watersheds. (This is the most current version, published in 2013). All documents are Adobe PDF format. Each link will open a new window in your browser.